More specifically, in a time when Russia’s presence in the Middle East has been the focus of muchinternational attention, the second day of this workshop will explore Russo-Kurdish relations as a test case for the relevance of tribal perspectives on imperial role. Through an examination of their evolution across two centuries, it will set out potential directions for further research. Organizers: Masha Cerovic, CERCEC, EHESS; Etienne Peyrat, Sciences-Po Lille; Adnan Çelik, CETOBAC, EHESS. 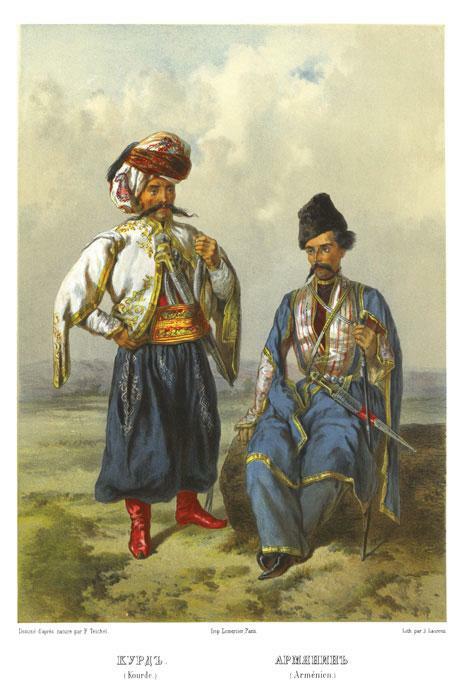 9.30-12.30: The Kurds in Russian Imperial Strategies. This panel will discuss the political aspects of Russian policies toward the Kurds through an exploration of their multiple spaces (Caucasus, Near and Middle East, Central Asia) and historical contexts. It is also meant as a forum to present and discuss the RUSKURD research project with all interested parties. 14.-17.30: The Russo-Kurdish Nexus in Intellectual and Cultural History. This panel will focus on one of the key aspects of our ongoing project, the cultural and intellectual impact of Russo-Kurdish relations.